OVERALLS ℅ HUDSON JEANS | T-SHIRT SANDRO (SIMILAR HERE, HERE, & HERE) | TRAINERS NIKE (THESE ARE ALSO GREAT! )| WATCH NIXON | SUNGLASSES MADEWELL | EARRINGS PIPERLIME; OVERALLS FIT OVERSIZED; I AM WEARING A SMALL. First time in overalls since middle school. I actually planned on skipping out on this trend until Hudson showed me these. Convincing points… cropped, cuffed, vintage black, and an exaggerated slouchy fit. Basically I wanted to look like I was drowning in them. The boxy Sandro tee helps with that. The trainers were thrown in purely because they’re new and I was well overdue a new running sole. Anddd thank you to this bag for making everything look acceptable. I’m in love with your bag! This outfit is so fun and casual! Love the overall and the bag!! Fab Nikes and that bag really does bring it all together! This is such a cute way to wear overalls!! Amazing! 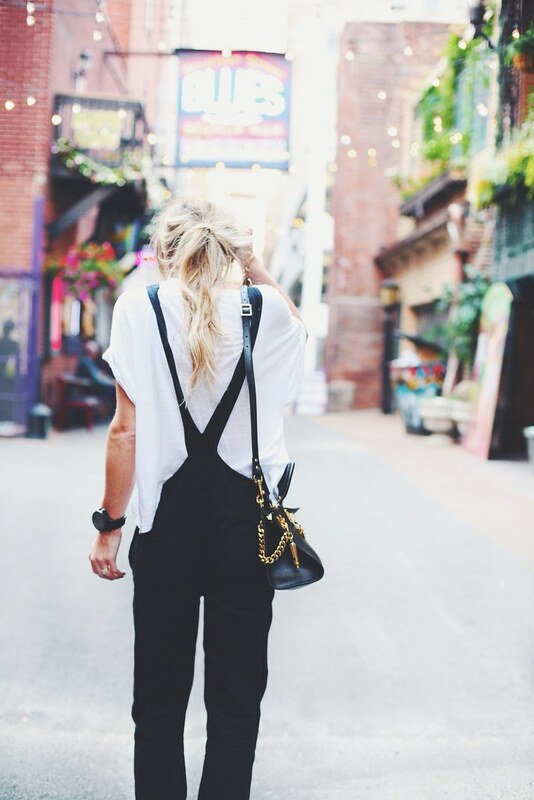 Still can’t believe overalls are becoming a trend now, but you make them look perfect! 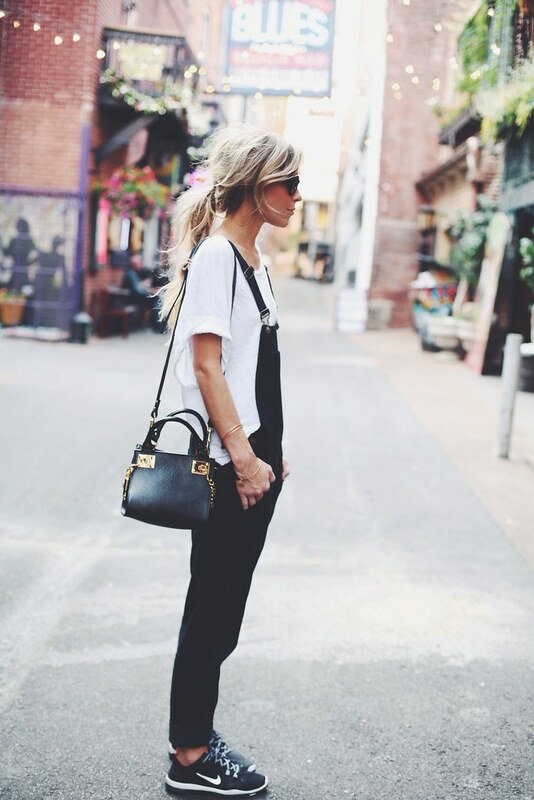 Love your overall and the fact you paired it with nikes, so cool! 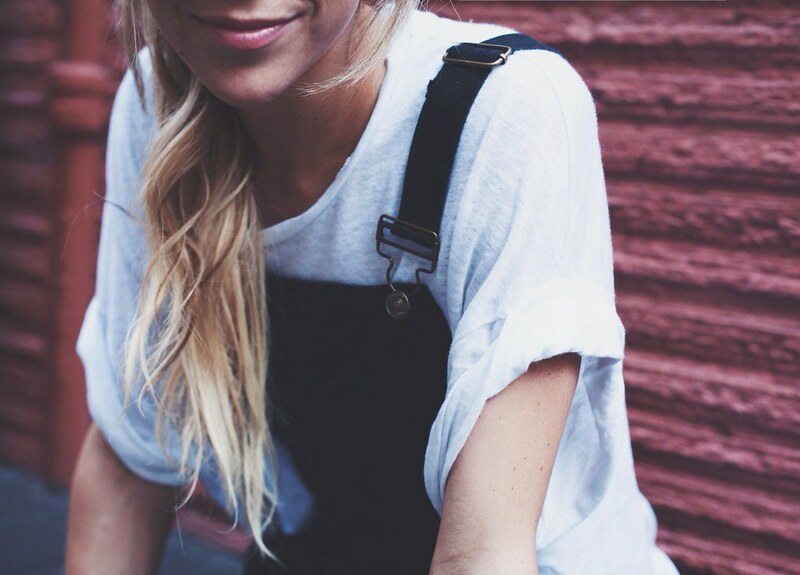 You definitely make overalls cool, you can totally pull off this trend. I think I would just end up looking like a kid, ha. I love how laid back and sporty this outfit is while still maintaining an “I’ve-got-it-together” air. Great Casual look, love the shoes!! I love this! So effortlessly cool. what a cool look. love the overall. such a great fit. 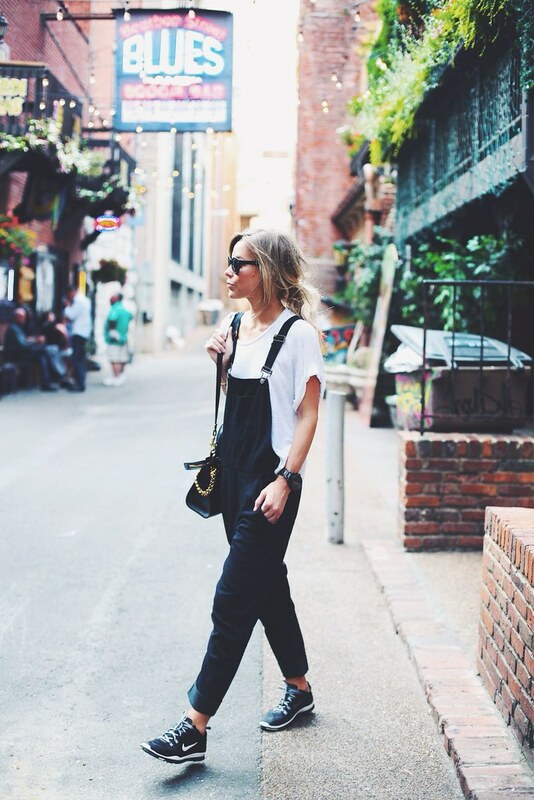 I have to admit, I’m not a huge fan of the overalls trend, but you manage to make them look effortlessly cool! What a great look, I really like your cute bag! Fabulous outfit, everything’s perfect about it! Such a perfect outfit! Love your overalls! So great! Love the overalls! I absolutely love how you dressed this down with the sneakers. So cute! Wow! I love e outfit and the photos! What lens do you use? I’m not someone who loves overalls but this ones made me fall in love, they are really beautiful and look great on you! LOVE this! I was never on the overall trend either – but these are AWESOME!! 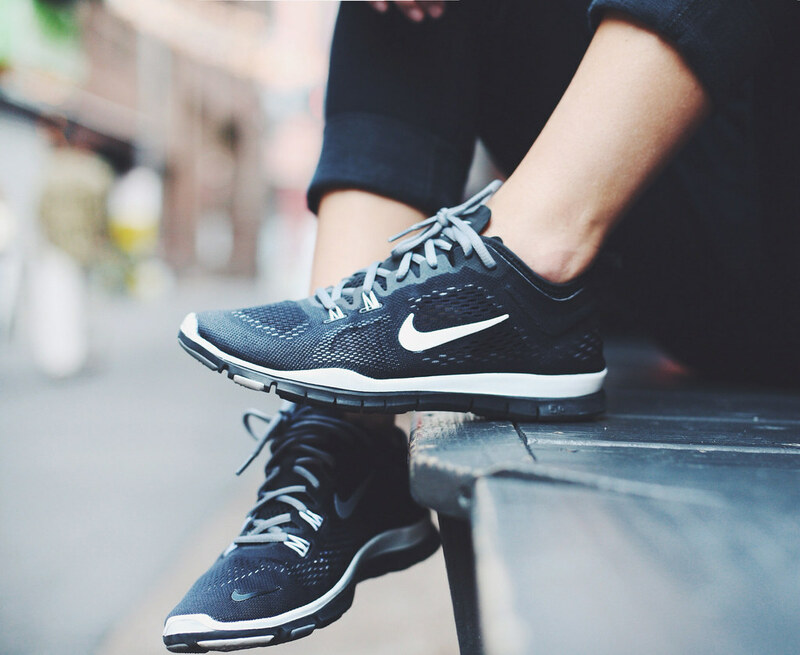 Love them with your new Nike’s. You look amazing as always. Casual and beautiful , love you outfit . great work ! She’s so very cool. That great!! hi! I just have to say that the pic of you walking in this outfit is probably the most repinned and liked Pin I have on all of Pinterest! Everyone loves that look! In fact I think I’m ready to replicate. Good job!! ✨✨???? Pingback: Do you like dungarees? Love your look! You rock it girl! If you are running an e-commerce magento store & to improve the website performance on the search results and to enhance the rankings among top results of your website, the best thing magento developer can do is to update the website and th content for getting better traffic on the website for effective communication. If you planning to give users a highly virtual effects in the real world, ask your mobile app developer to create virtual reality development apps that meets the business requirement. If you have made your mind to take your business over the web then don’t just pick any company. Hire the top web design company where ideas are designed and impressions are built. Similarly, check if they are proficient in app development. RV Technologies have a team of the reputed and experienced web and app developers.